Does your dog pant, pace and cry everytime they hear thunder? Does the sound of rain and strong gusts of wind cause your pup to look for a place to hide or a way to escape? Do you dread the summer storm season on behalf of your furry friend? It’s possible that you and your pup may be dealing with the very common behavioral issue of thunderstorm phobia. most dogs react to multiple “triggers” I.e thunder and barometric pressure changes, not just the boom of thunder. So what can you do at home to help? Provide a safe place in your home for the pup to ride out the worst of the storm. An interior room with no or small windows may muffle the noise of the thunder, and may keep your dog from reacting to the flash of lightning. Placing a comfy bed in this room, interesting toys or other distractions such as the noise from a TV or radio and/or food puzzle games may help make this a comforting environment. If you are at home with your dog during the storm, you can help distract from the anxiety by throwing a “storm party”, feeding your pup special highly desirable treats or playing favourite games that your dog only gets during storms. 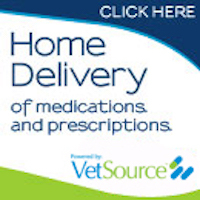 There are many products on the market that are geared towards helping a dog and its family cope with thunderstorm phobia. Rescue remedy, an herbal supplement to help promote calm during stressful times, is a popular choice. Some pet parents have had success by using the Thundershirt or the Storm Defender cape. Others have found that adding a DAP (dog appeasing pheremone) collar or spray can help bring down the overall level of anxiety for their pet. In some cases the anxiety caused by the storm is at such a high level that the dog would even benefit from the addition of calming drugs. Thunderstorm phobia can be difficult to eliminate completely, but often with the combination of time, patience, and the tools we have available to us, we can lessen the anxiety experienced by our pets when the dark clouds roll in. 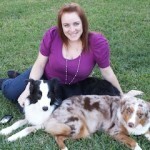 About the Author: Dr. Brianne Nelson is an animal lover and Veterinarian with Mobile Vet to Pet in Clermont, FL.